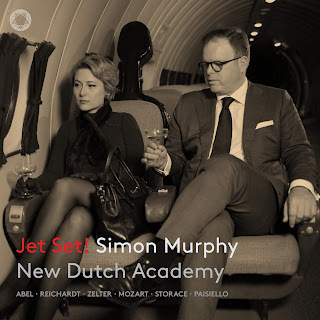 Simon Murphy and The New Dutch Academy's new album is titled JET SET! Classical Glitterati. The album follows the musical "jet set" of the 18th century as they "do" the splendid cultural epicentres of the time including London, Berlin, Vienna and St Petersburg. 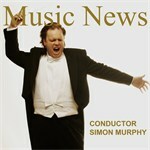 On the programme, world-premiere recordings of symphonies by Abel and Reichardt balance well-loved works by Mozart and Paisiello with Murphy also appearing in the double role of conductor/soloist in Zelter's beautiful Viola Concerto in E-flat.